I NEED TO...discover and inventory what's on my network. Read the 10-Step Software Audit Plan. Know what arrives on, moves around, and leaves your network. Gartner Client Management Tools Market Guide. They're Gartner. They're smart. How can you manage or secure what you don't know you have? For one manufacturer, knowing the details about what's on its network and automatically removing unused software helped it save $958,000 in licencing fees. For another customer, accurate network visibility was crucial for security purposes. When a department VP asked how much it would cost to upgrade all PCs to the latest OS, IT had the answers. With inventory management capabilities and network discovery tools from Ivanti, you can discover all devices on your network. Track devices in any location across the Internet and all applications on each device. And make sure you can survive that looming software audit. Designates an endpoint on each subnet automatically to identify any wireless access points that pop up on your network. Like a continuous network neighbourhood watch—if something is there, even for a moment, you'll catch it and inventory what's on it. Visualise the associations between devices, software, assets, and the people who use them. Explore inventoried data with data visualisations or create customised reports to make informed decisions. Inventory systems and devices in remote locations as they connect via the Internet. No VPN required. 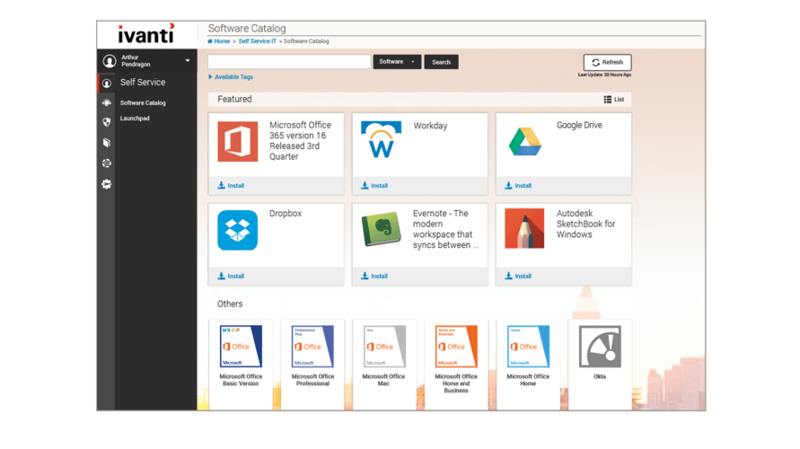 Benefit from a comprehensive list of all software with extensive usage information. Replace manual management with automation. Discover devices quickly in real time on any network segment. Your efforts to modernise your IT to meet the expectations of users and business management have at their foundation the ability to discover and inventory hardware and software assets successfully. Systems, Endpoint Security, IT Asset, network discovery tools and Service Management solutions from Ivanti are essential IT disciplines that leverage the extensive inventory data to provide greater network visibility. Unified endpoint management for all user devices. Solid discovery and inventory features are at the very heart of effective IT systems, asset, and security management. Visualise all gathered data along with data from other business databases. Create business-value dashboards or simply view trends, anomalies, or live data in visual reports. Gather data from multiple sources that wouldn't come through a network security scan. Connectors can include B2B data like hardware warranty information, vendor licencing rules, or purchasing information from resellers. Connectors can also interconnect your IT inventory database to other data such as a CMDB for service management. Clean up the data you see and reduce the number of names used to describe the same thing. The Cloud Services Appliance is a management gateway that gives you secure management access to any remote devices that connect via the Internet. Inventory systems across the cloud without the need for an expensive VPN connexion. Once a device is discovered, the in-depth inventory service interrogates each IP-connected device or service to learn everything it can, including information about the network connexion, hardware details, manufacturer, and what software is running on the device. 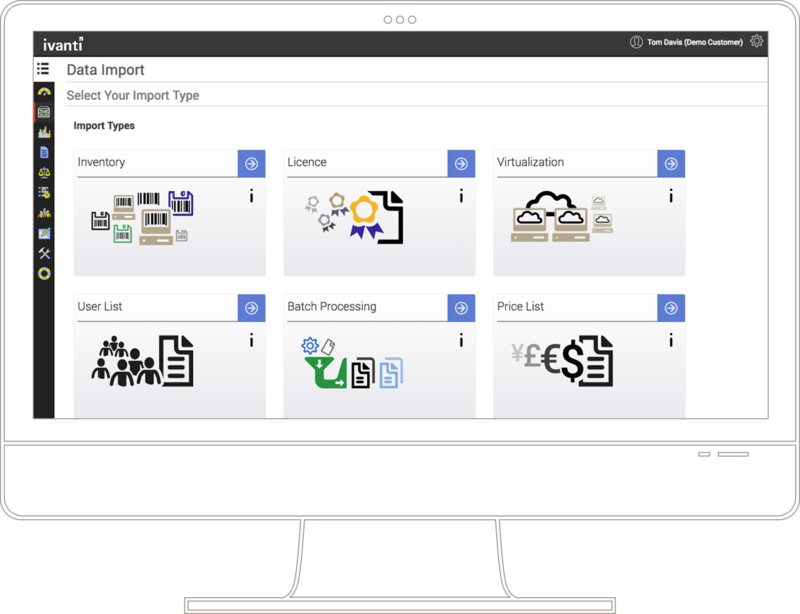 When under management, inventory will also provide software-usage information to help you manage your software assets. Using passive and active discovery technologies, Neighbourhood Watch finds all managed or unmanaged devices. It detects network-connected devices in real time, even if they're behind a firewall.